79% of households in Vietnam’s rural areas have no washing machines. Women in these families spend an average of four hours a day hand-washing their clothes. In partnership with OMO Matic, Panasonic developed the Super Clean washing machine aimed at reducing time spent by homemakers on laundry. 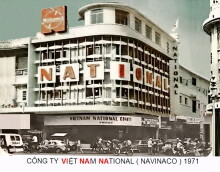 The washing machine was developed locally at Panasonic R&D Center in Vietnam. This is in line with the company’s commitment to roll out Japan quality appliances which meet local needs and lifestyle. The energy efficient Super Clean washing machines are capable of minimizing water and electricity consumption, making them an effective and economic washing solution. They are also able to operate within a wide range of voltage. Noteworthy is the washing machines’ integration with unique OMO matic washing program to avoid damaging clothes while at the same time providing high level performance in homes. For the first time in Vietnam, women from these rural areas can purchase their own Super Clean washing machines via credit installment from a Micro Financial Fund, set up by Vietnam Women’s Union and Unilever Vietnam. This year, Panasonic, together with Univeler Vietnam and Vietnam Women’s Union will launch the pilot Micro Financial Fund in five provinces: Ha Nam, Hanoi, Thanh Hoa, Lao Cai and Ben Tra. An estimated 5,000 women will benefit from the program. 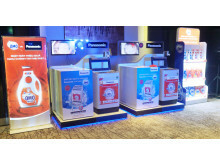 As part of the launch on 21 January, special promotions were rolled out, such as Panasonic extending the warranty period to seven years, as well as OMO Matic giving out free samples and offering discounts for its detergent. A hotline which customers can call up for advice on effective washing solutions has also been set up. Five Super Clean washing machines were given out to outstanding members of Vietnam Women’s Union, recognizing their tireless contribution in improving living quality of women in rural areas of Vietnam. 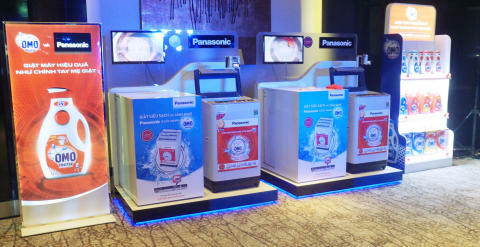 Panasonic, Vietnam Women’s Union and Unilever Vietnam hope to expand the program to more areas in Vietnam in years to come. 2016 marks Panasonic Vietnam’s 10th year anniversary. Commemorating this business milestone, a special exhibition “People are the foundation of Sound Management – Learn of Overcome Challenges without Fearing Failure” was held at the Institute of Manufacturing located within Panasonic Vietnam’s factory premise.